Ava’s been in hospital for over 2 weeks in a space of a month. It’s been testing both my physical and mental health, we’ve have fevers of 40 and endless washing of clothes and bed sheets, it’s relentless. I sat the other night scrolling through my Facebook, my timeline filled with wonderful pictures of children, lots of new babies and pictures from the perfect Christmas and even more perfect New Years Eve. I felt that same heavy feeling sinking in my chest, I welcomed the New year with just one of my children, again…an incomplete family seeing in the new year, what with Ava being admitted that day! Of course, it’s Ava and she does like to do things with impeccable timing, so she made it out and was home for Christmas, but I guess New Years was too much to ask of the little lady. 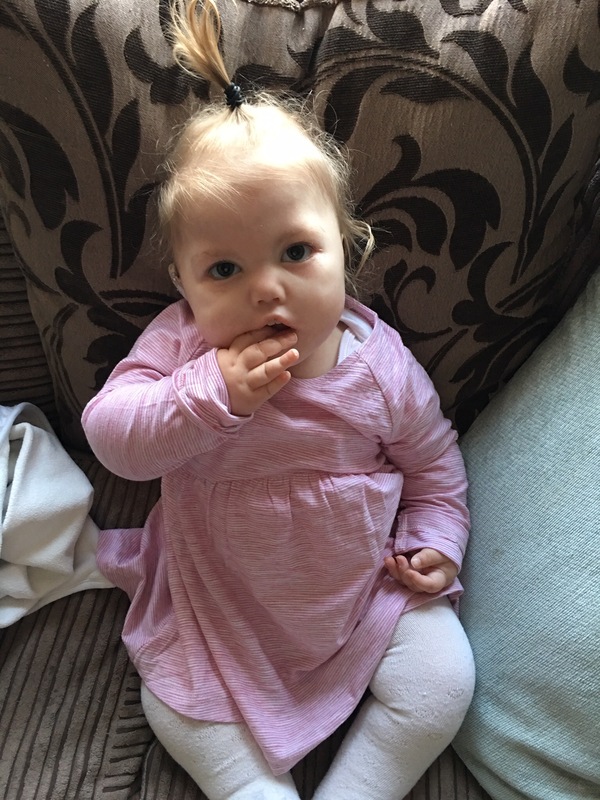 Recently, I’ve been reading my groups that are linked to CHARGE syndrome and following stories of other children who are of a similar age, most of whom have now stormed past Ava in terms of physical development, most sitting and some even attempting some crawling. It forces me to re adjust my focus, take the blinkers off, and see how not so far Ava has come in the last 6 months. So, today I brought Ava home for a few hours from the hospital and I sat watching her, happy as Larry in her own little world and the tears started to flow. I picked her up and gave her a cuddle and she touched my tears on my face, I picked her up and blew raspberries into her neck and it was at that very moment that she let out one of her most precious, tiniest giggles that I rarely get to hear. And it clicked. Ava is Ava, she’s happy and she is loved. Today showed me that, in time, as with everything it will happen. She’s had SO much to deal with in the last 6 months with constant infections, she’s been in intensive care ventilated – is it any wonder her development has slowed what with the fighting her body has been doing? Today I told myself to live for the here and now, not yesterday and not tomorrow, for tomorrow is not guaranteed and yesterday is over. It will happen, all of it, but just not today ….